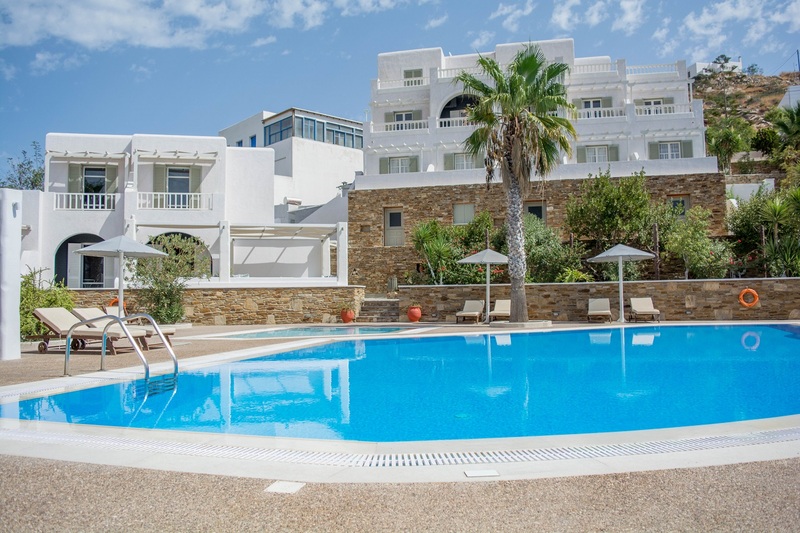 Ios Accommodation - Olga's Apartments & Rooms with amazing pools! your room or from our charming pool area. Olga's location suits your exploration of Ios island. 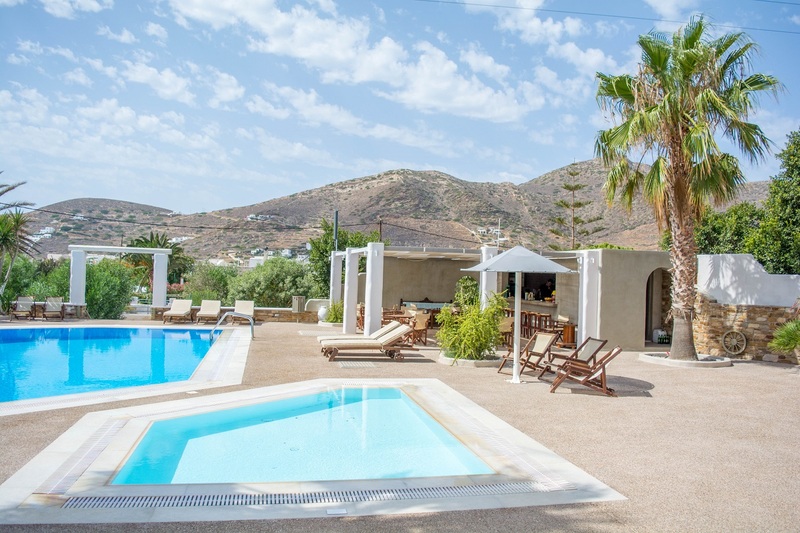 Treat yourself with relaxing stay in a vibrant destination, Ios island. 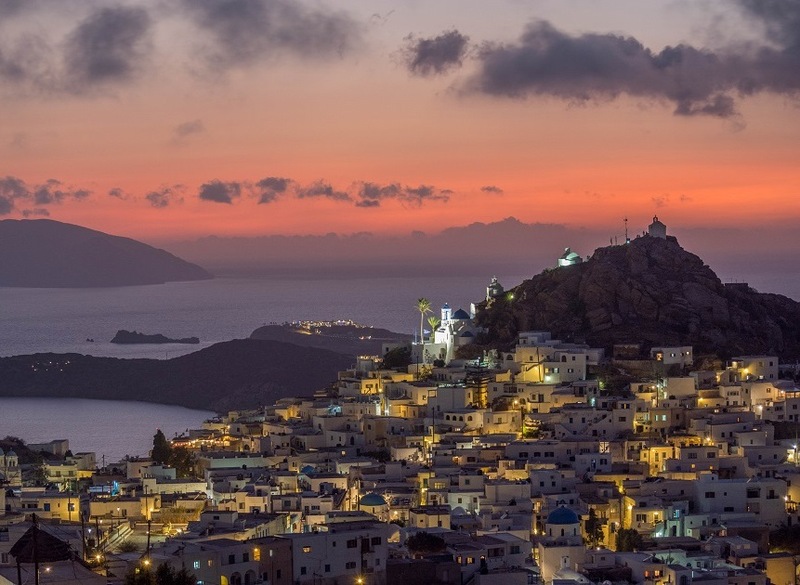 of introducing to visitors from around the world, the local, Cycladic hospitality. accommodation even more enjoyable and memorable. 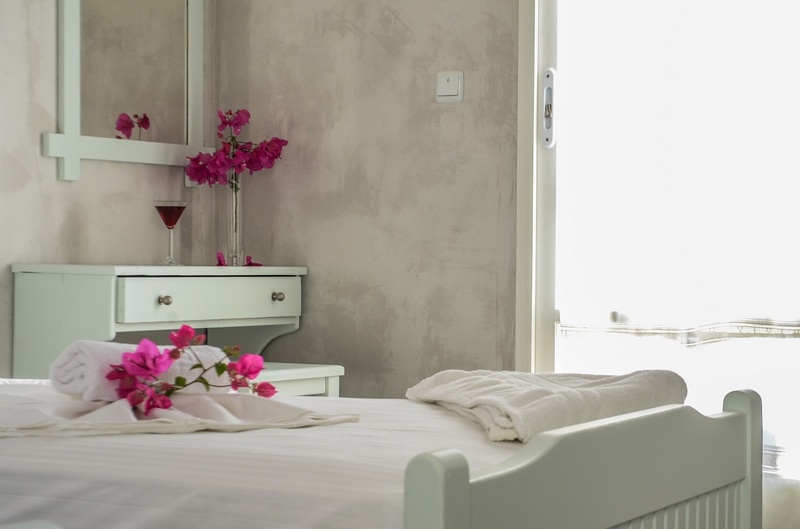 Ios accommodation in traditional Cycladic version, affordable for every visitor of Ios island. Choose your stay in our quiet gem. 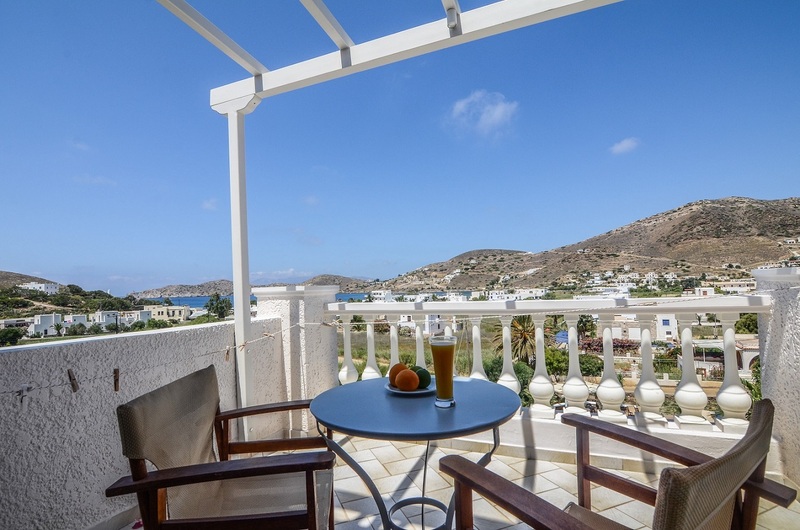 Wake up with a glimpse of Gialos Area and Aegean Sea from your balcony. 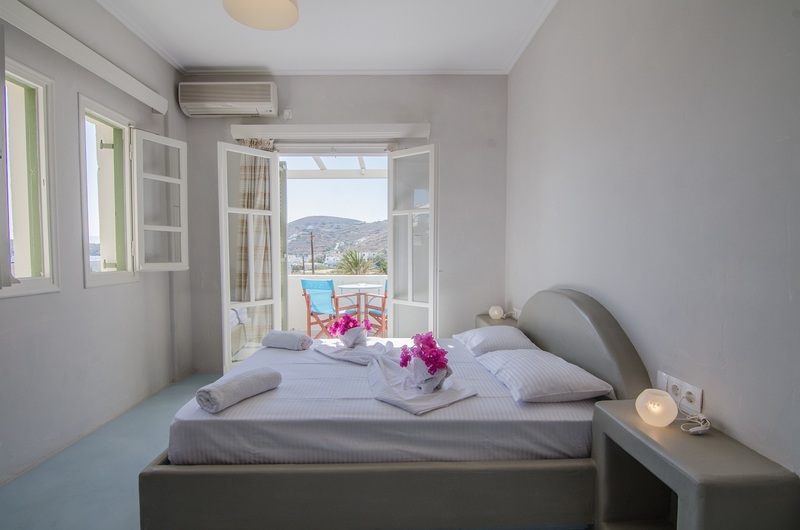 Triple rooms of Olga's Hotel are fully equipped and offer nice view of Aegean Sea. 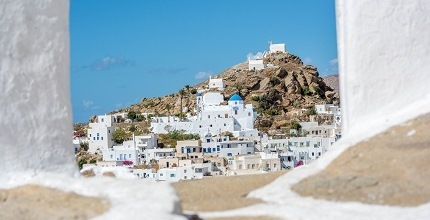 We want our guests to know what places to visit and explore on Ios island. That is why we have a travel guide for you.